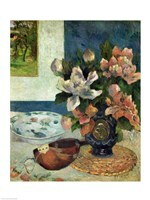 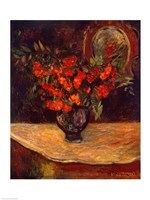 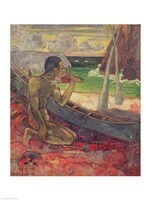 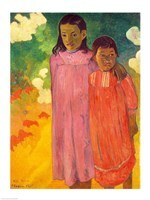 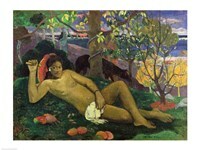 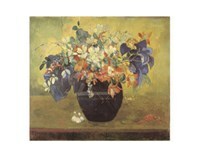 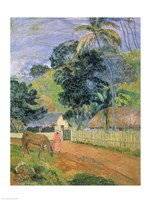 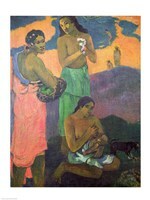 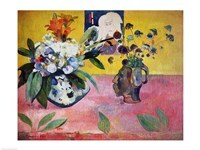 The son of a French journalist and a Peruvian Creole, Gauguin was raised in Lima, joined the merchant navy in 1865, and in 1872 began a successful career as a stockbroker in Paris. 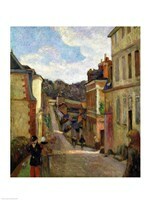 It was there that he experienced his first Impressionist's exhibit that captivated him and confirmed his desire to become a painter. 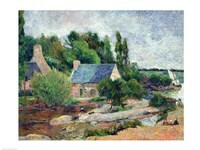 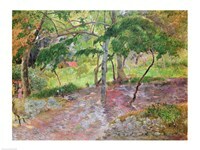 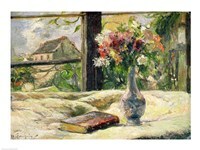 He drew and painted landscapes in his leisure time, but it was his meeting in 1877 with Camille Pissarro, who told him he should look for the nature that suits your temperament, that persuaded him to exhibit with the Impressionists. 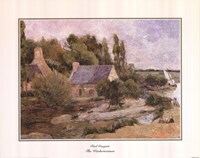 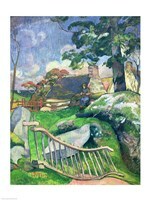 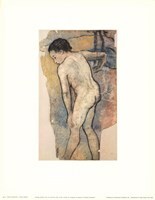 He abandoned his business career and his family, frequently changed homes while living on little money, and devoted himself entirely to painting. 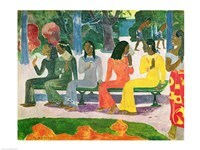 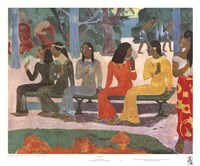 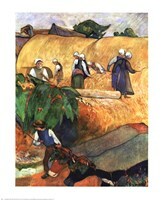 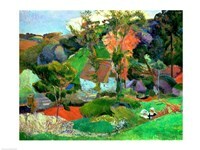 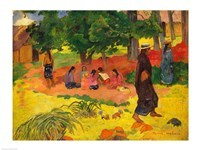 He produced a style he called "Synthetism," a symbolic representation of nature using massive simplified forms and large, bright planes of color, and his work increasingly took on a more primitive quality. 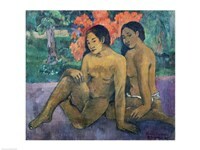 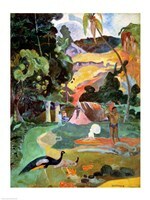 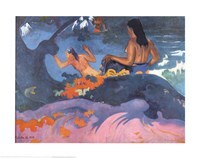 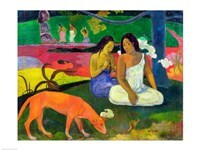 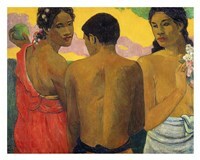 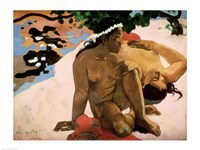 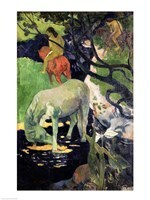 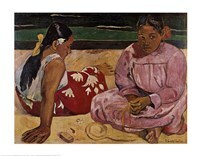 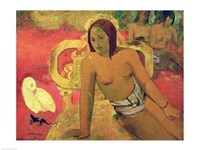 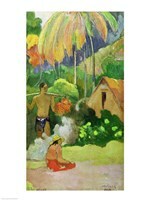 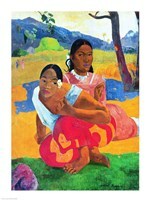 In fact, Gauguin's art has all the appearance of a flight from civilization; and it was in Tahiti that he discovered the flat forms, vibrant colors and untamed nature of primitive art that he transferred, with absolute sincerity, to canvas.